XBox has released a trailer for Warzone Firefight, the biggest expansion to Halo 5: Guardians yet, available now as a free download from June 29 until July 5. 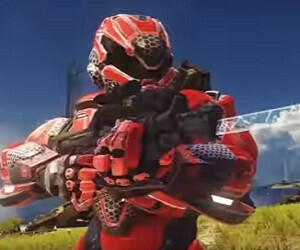 The first-person shooter video game developed by 343 Industries has various updates in terms of Halo goodness, such as the new Warzone Firefight game mode, Score Attack for Campaign, new maps Attack on Sanctum, Prospect, and Molten, the new Forge Canvas, Title, and new Req items. The track used in the trailer is “Pyrogatic”, by Juggernaut Kid.